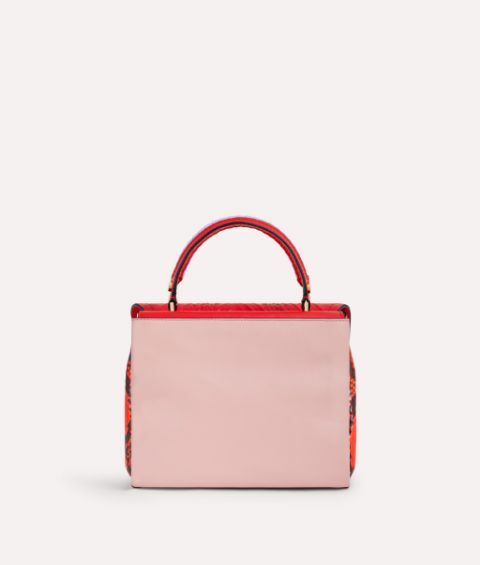 The Petite Faye Petals is perfect for adding a touch of the tropics to your outfit even on days when the sun isn't shining. 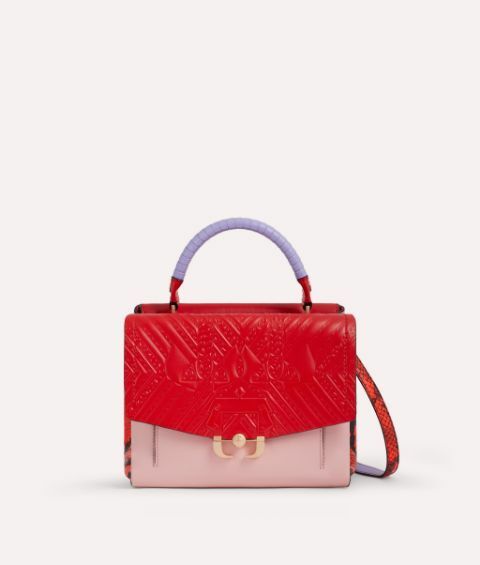 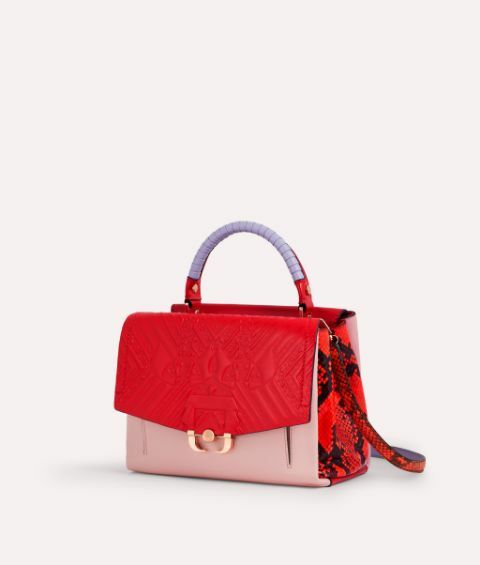 This compact design is crafted from bold red orange elaphe skin and fiery red embossed leather, while the braided top handle is coloured a cheery lavender hue. 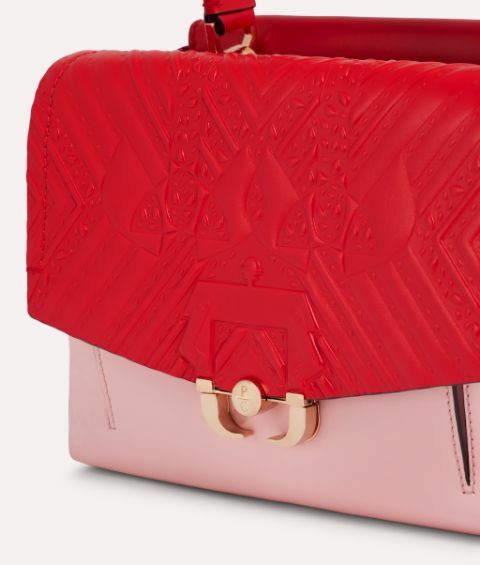 A rose gold tone Paula Cademartori buckle adorns the front.